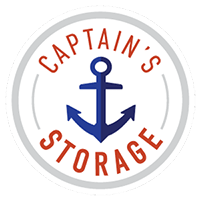 At Captain's At Your Service, we strive to offer the most stress-free full-service Self-Storage experience in Ontario, California. Our storage consultants are here to help you find the best space to meet your needs. We provide exceptional customer service throughout our clean, secure properties. Our facilities include 24-hour video recording, and we also offer the convenience of U-Haul rentals at our Holt and Mountain location. Our experienced staff is pleased to assist you in whatever way we are able! Whether you are moving permanently or temporarily, or you just need extra space at home or for your business, we are here to help. We serve the Ontario area including Chino, Upland, Montclair, Rancho Cucamonga and surrounding communities, and we look forward to serving you soon.